Has twelve openings of 20mm diameter. Measures (I x w x h), 200 x 140 x 70mm. Made of kiln dried wood. Oil finished. · A heavy duty plastic unit. 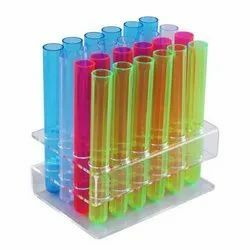 · Capable to hold 20, 40, 60 test tubes. 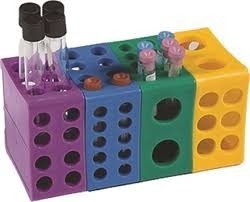 We are offering a wide range of Z test Tube Stand. These ingenious racks with a 3-tier design provide clear view of the tube contents & convenient insertion & removal of tubes. The PC Rack has transparent upper & middle plates where as in PP racks, every part is colored & opaque. These autoclavable racks can withstand sub-freezing temperatures.